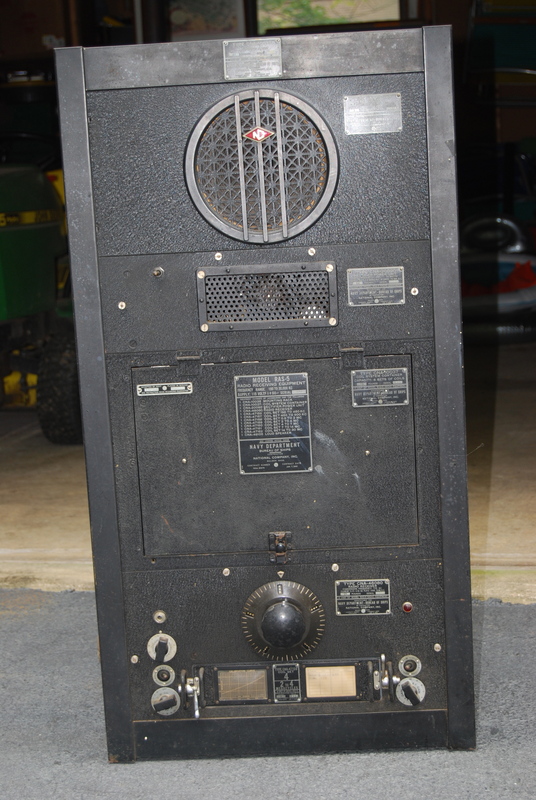 Please send me e-mail with additions, corrections, etc. 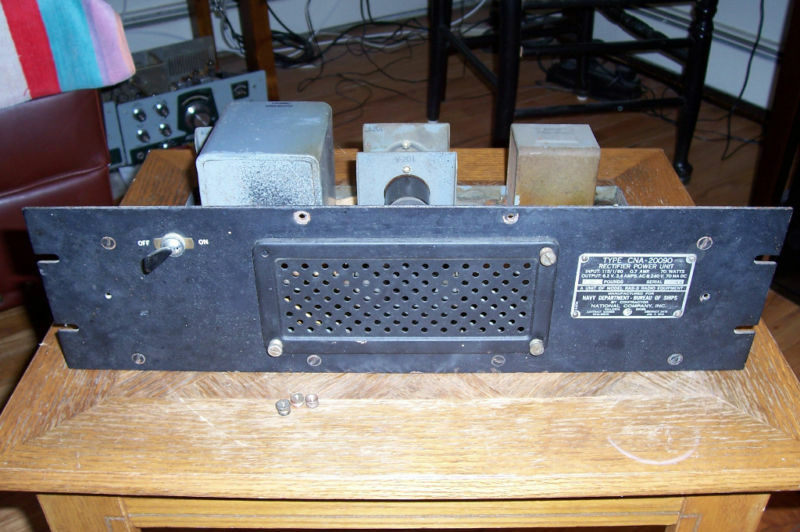 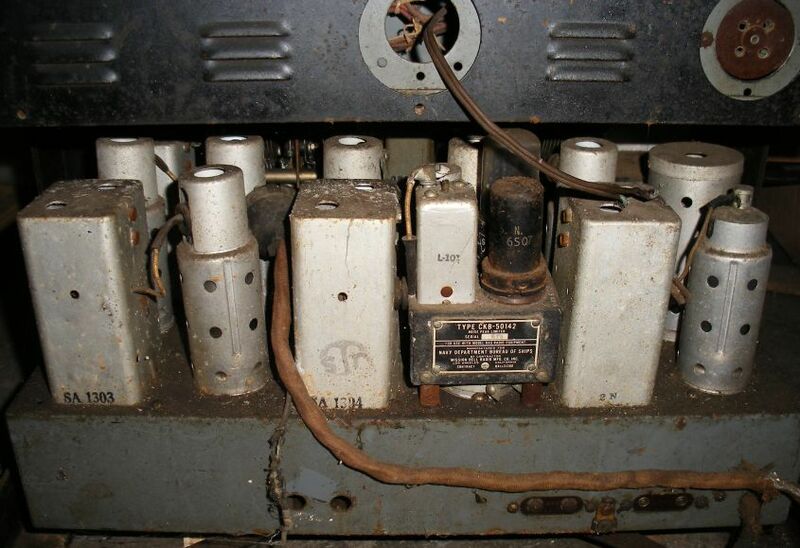 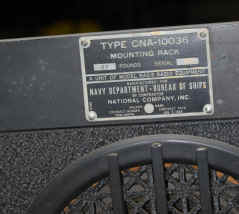 "We had an item which was known as the noise peak limiter adapter. 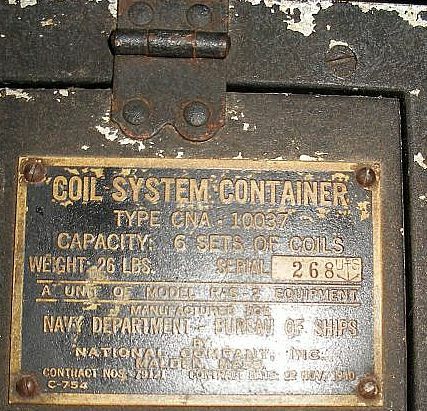 If we want to speak of inventions or original design, that definitely was, including constructing a complete unit which was conceived by us in its entirety. 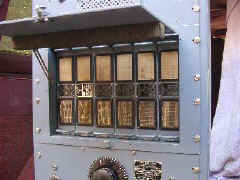 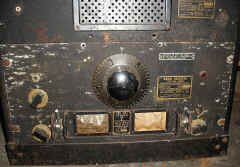 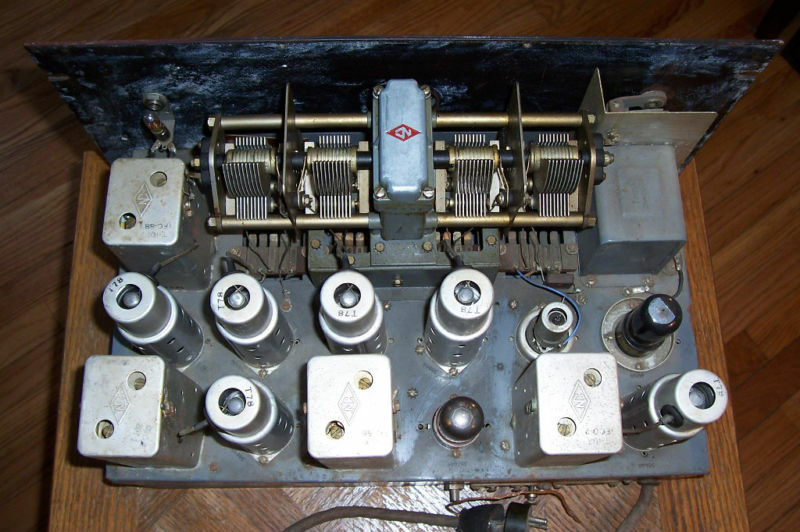 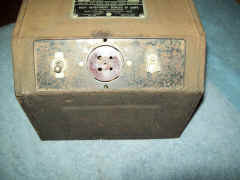 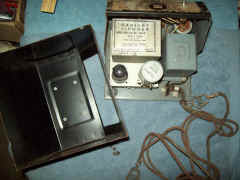 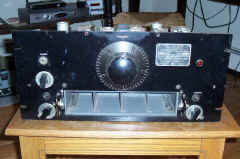 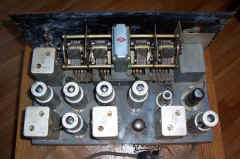 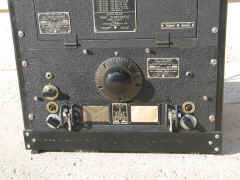 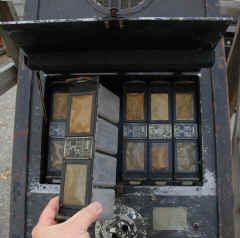 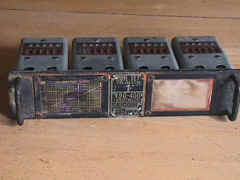 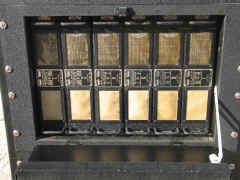 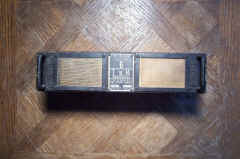 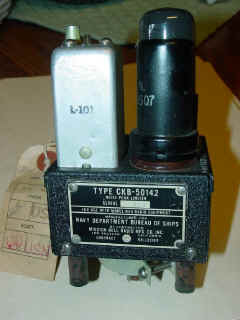 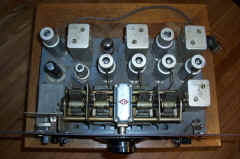 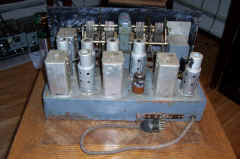 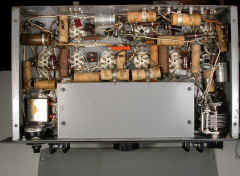 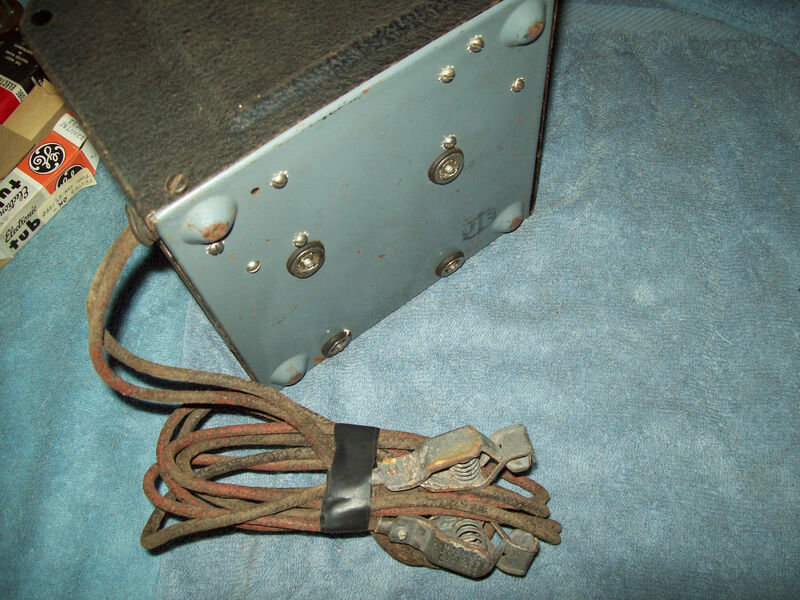 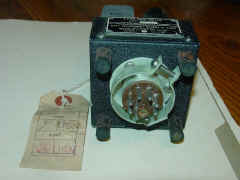 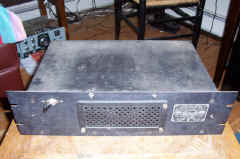 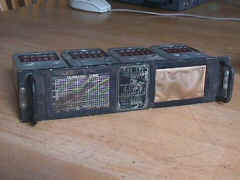 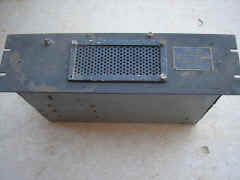 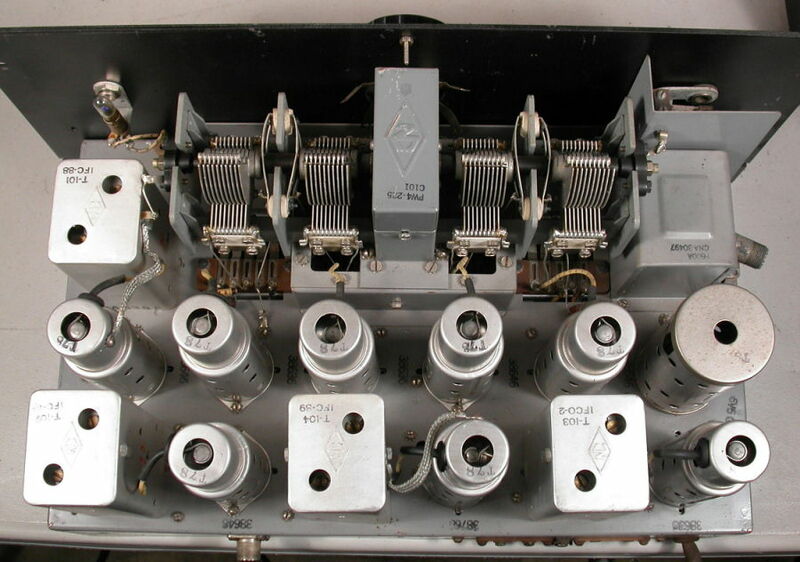 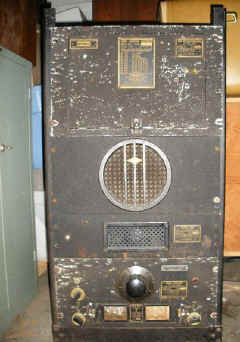 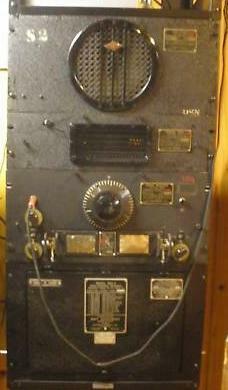 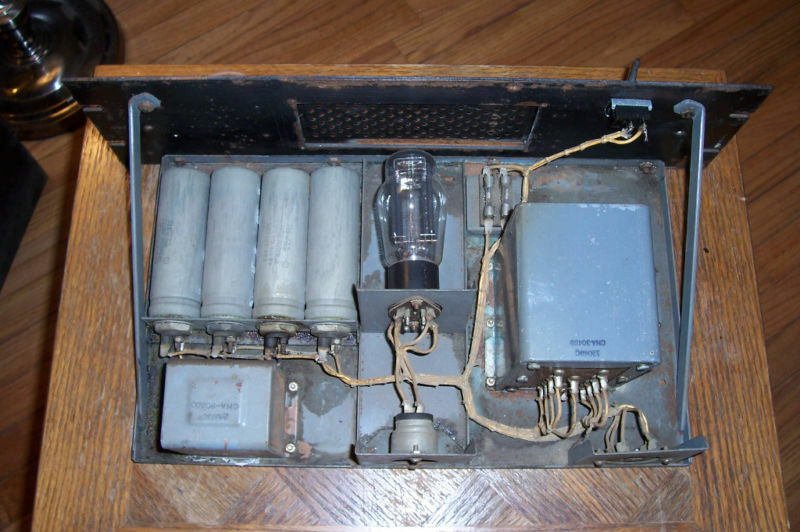 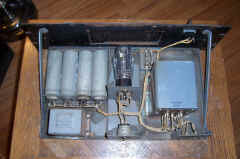 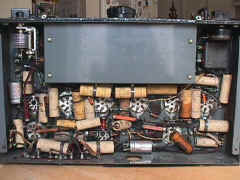 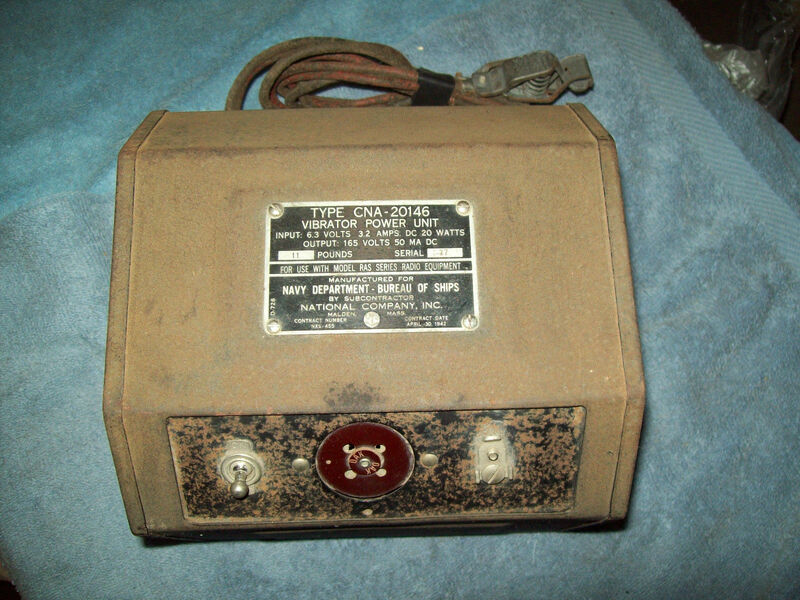 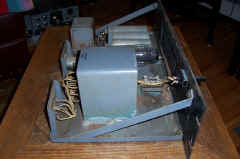 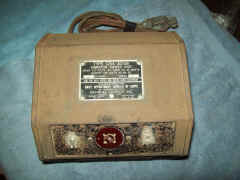 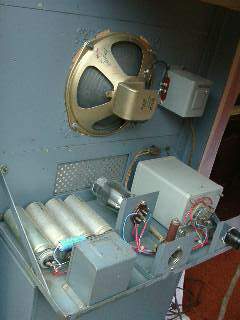 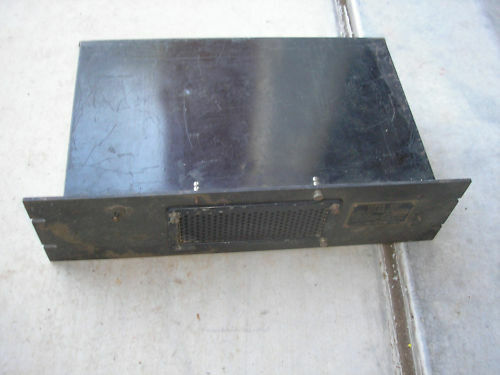 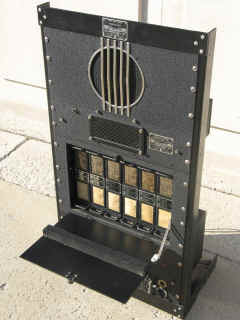 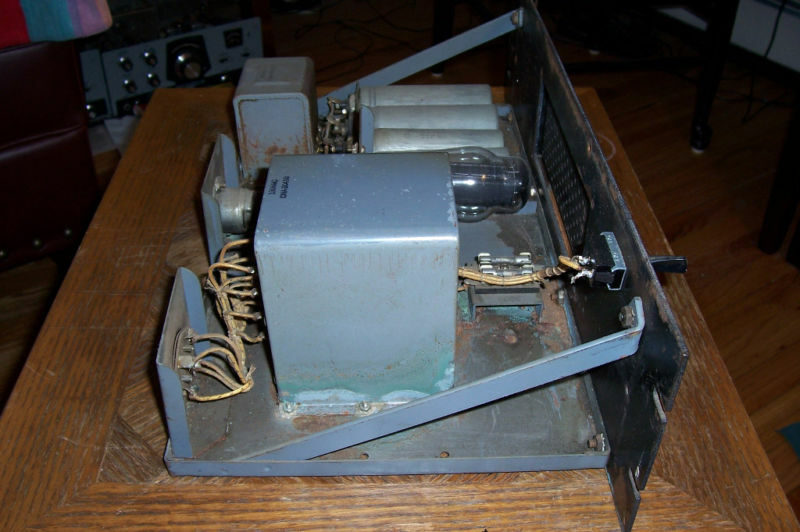 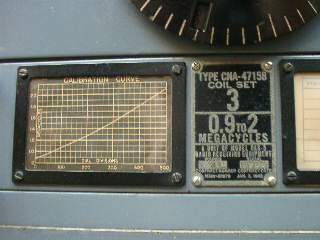 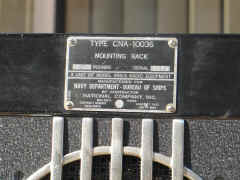 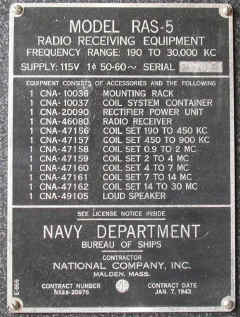 The purpose of the equipment was to limit noise peaks on communication receivers. 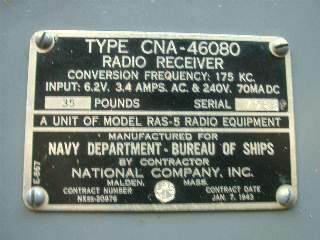 The theory behind it was by certain circuit configurations we could make the receiver respond to wave forms of pure sine wave, which normal communications signals are. 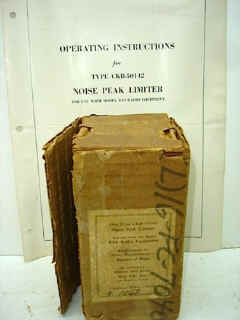 Noises are random wave forms; by that I mean they are not a pure sine wave. 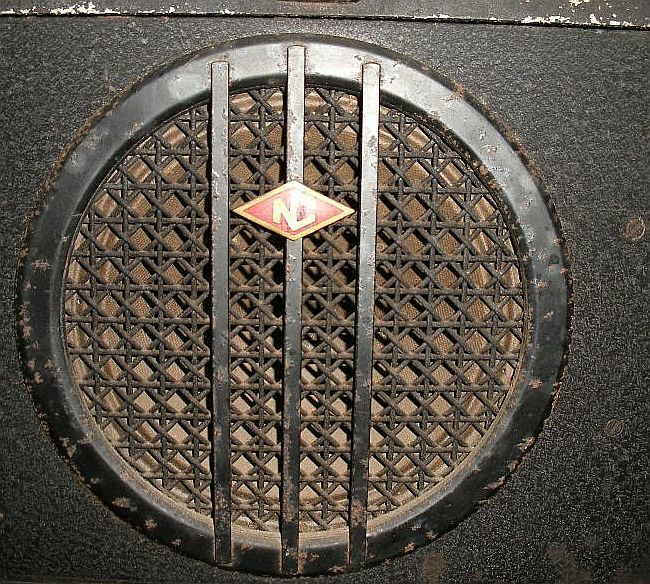 I don't know whether anybody knows what a pure sine wave is or not, but anyway, that is a wave of uniform shape, whereas noise peaks are a random form. 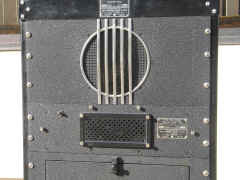 To put it plainly, the idea was that you could not take a square block and put it through a round hole. 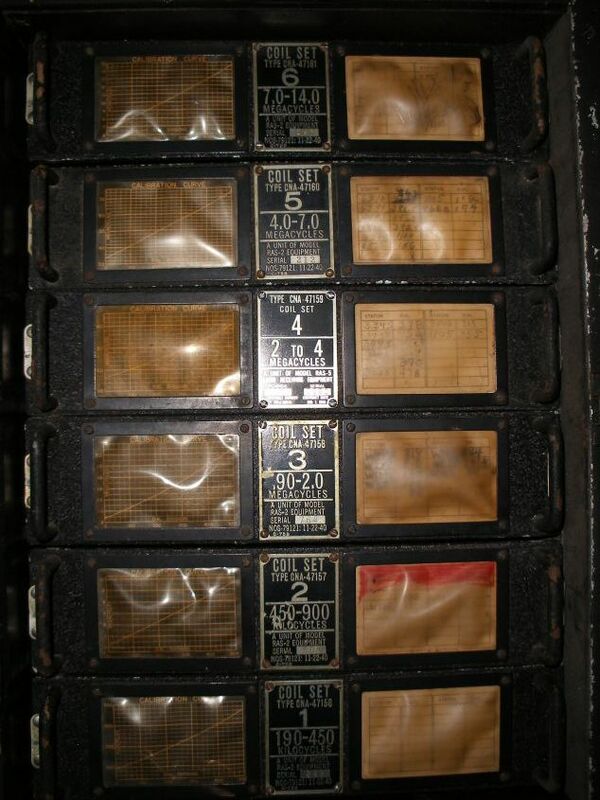 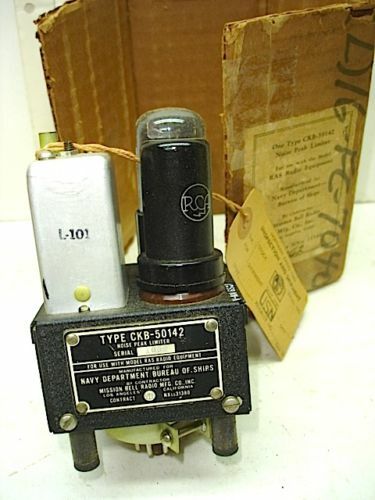 We also produced along that same line an electronic relay. 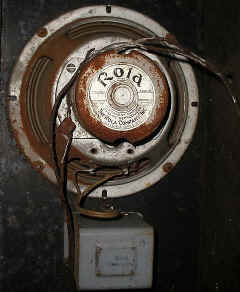 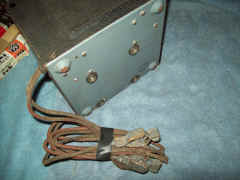 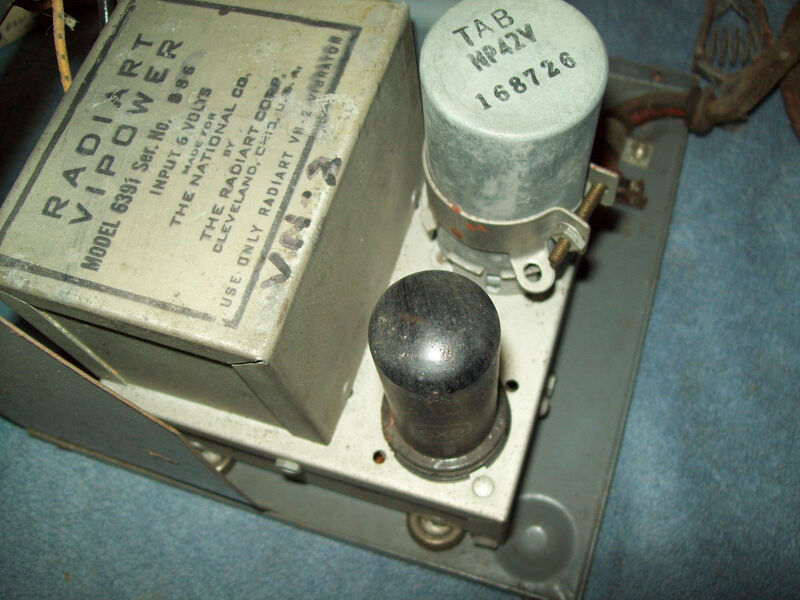 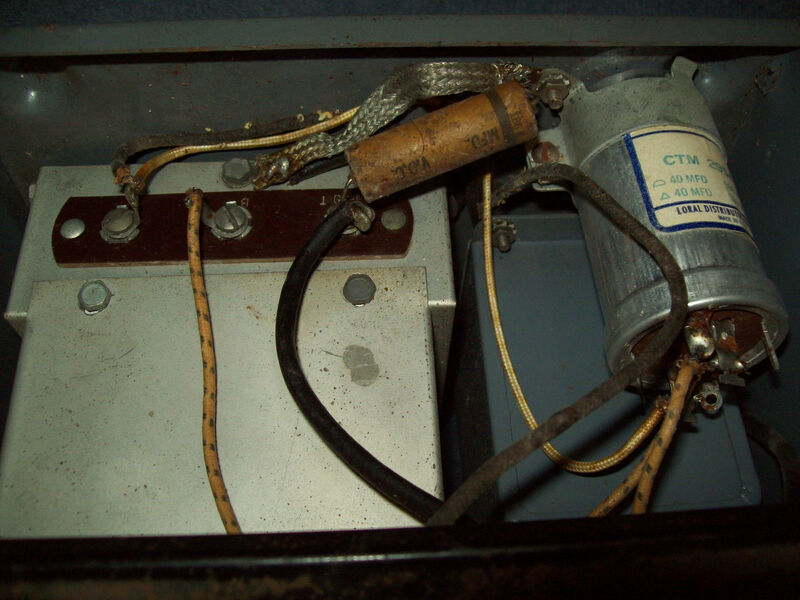 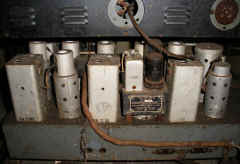 Again the purpose of the relay was to limit noise. 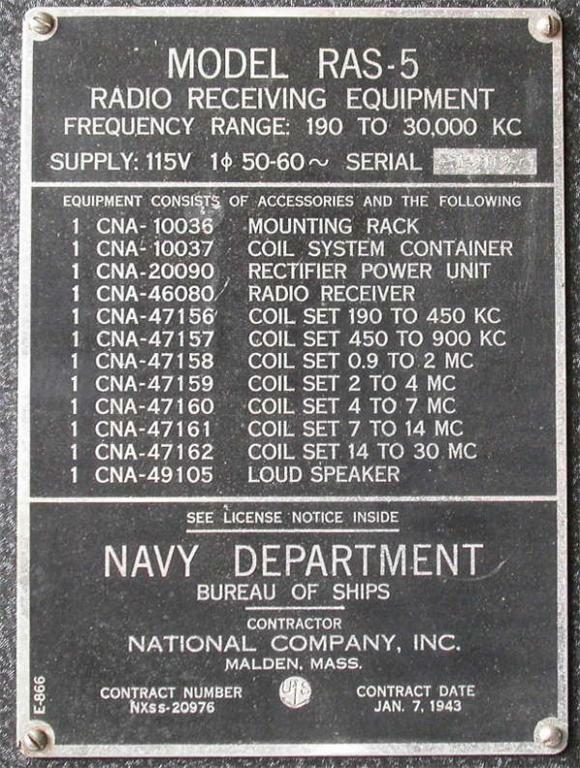 That was adaptable only to communication receivers, not receivers using voice frequencies, but rather code frequencies or code signals, I should say. 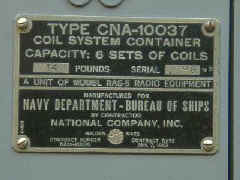 That was developed by us and offered to the Navy Department as a new development. 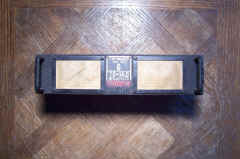 It was very effective. 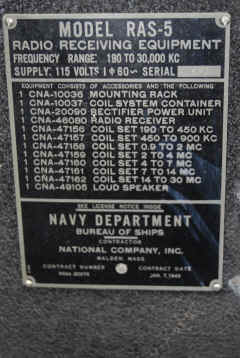 Tests at the Naval Research Laboratory indicated that noise reduction was in the order of 120 decibels. 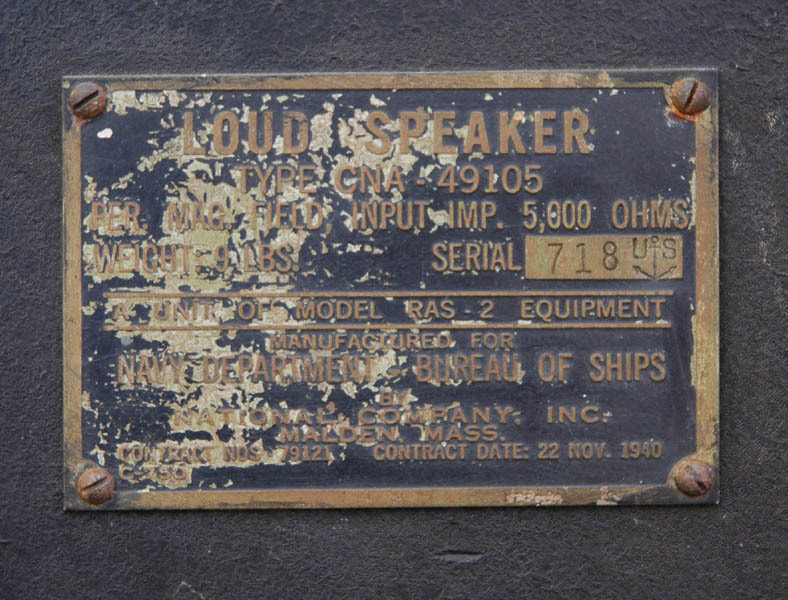 120 decibels means that that was a million to one ratio. 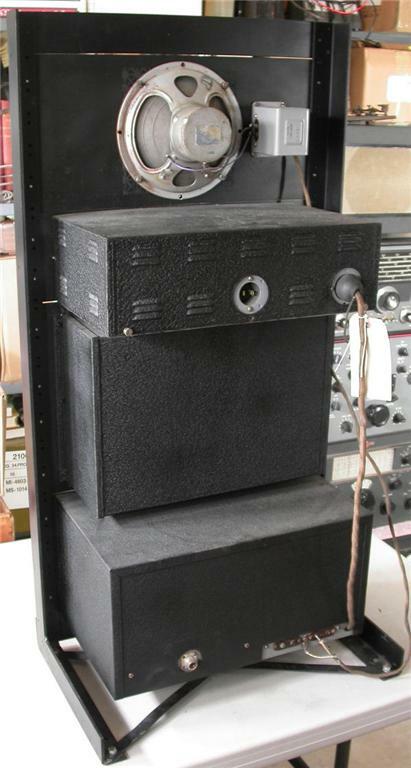 In other words, to give the same amount of sound from the receiver the noise had to be a million times stronger than the desired signal, which for all practical purposes means there was no noise, in that your ear could not differentiate between a million to one ratio in sound. 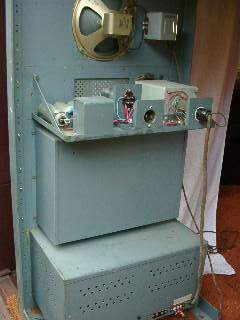 There was a great deal of pure development work went into that device. 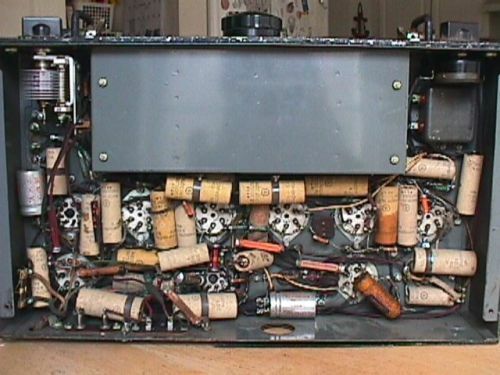 It did fill a need. 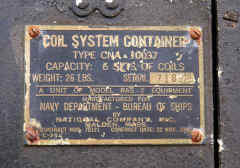 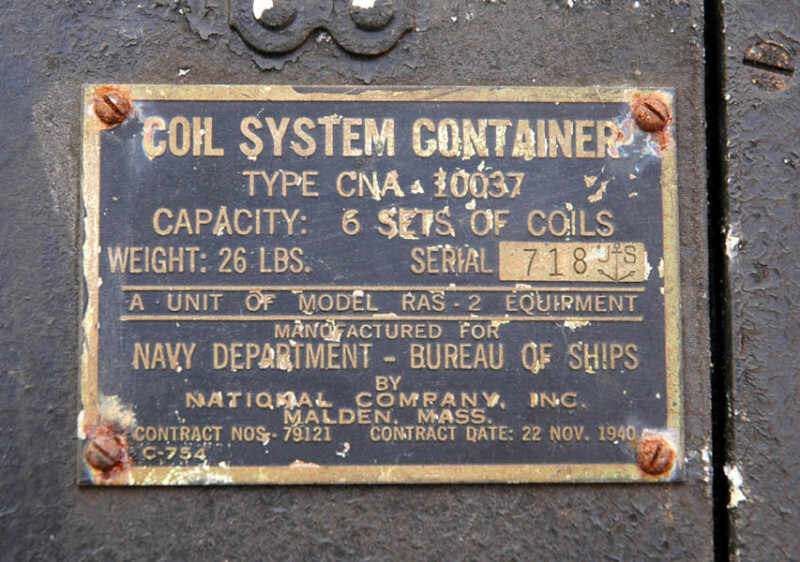 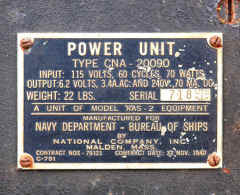 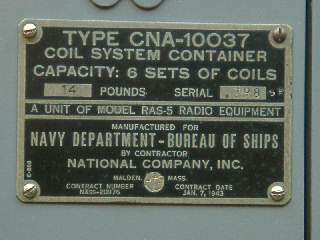 The Navy Department first issued a development contract to produce 10 of these units. 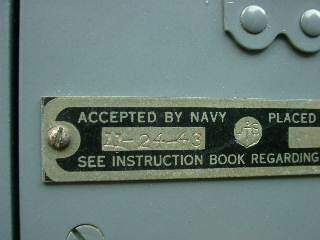 I don't recall just where they were sent. 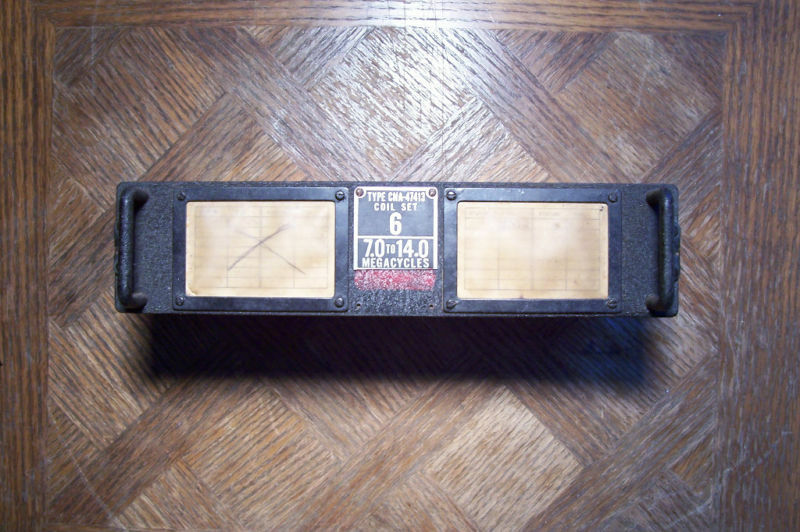 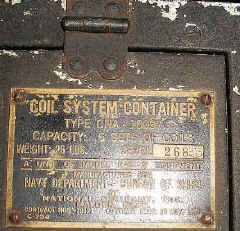 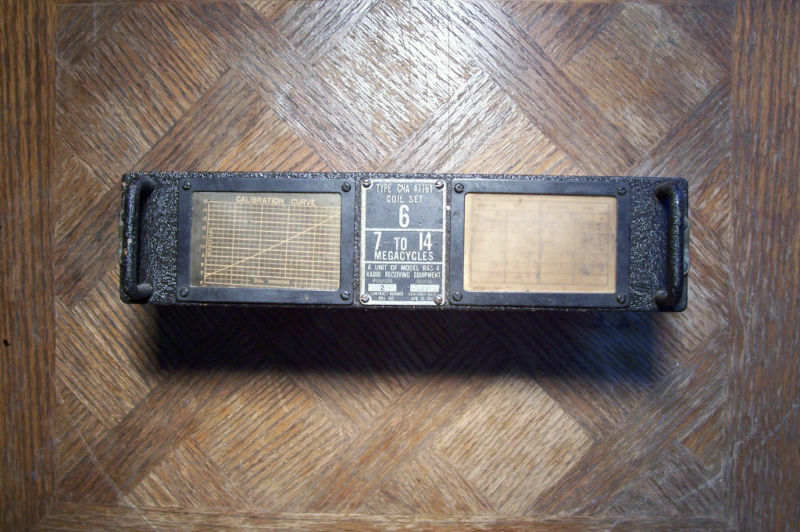 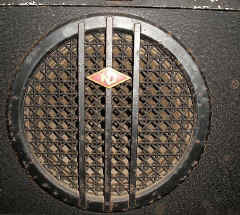 I know of one unit that was sent into the Alaskan area, where they were troubled with very heavy static, another went into Honolulu, which was another noisy area, I believe one went into Florida; the rest of the 10 I am not sure where they went, but anyway they were shipped into areas where noise was a factor, and the field tests showed that the instrument was very effective. 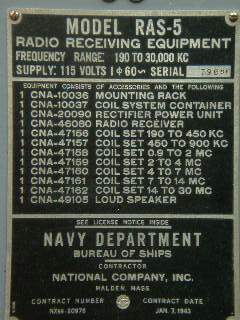 I think later that ended up in a production order for a redesigned unit. 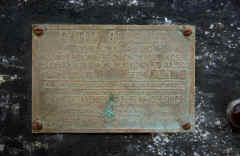 However, it does not come into the period with which we are concerned. 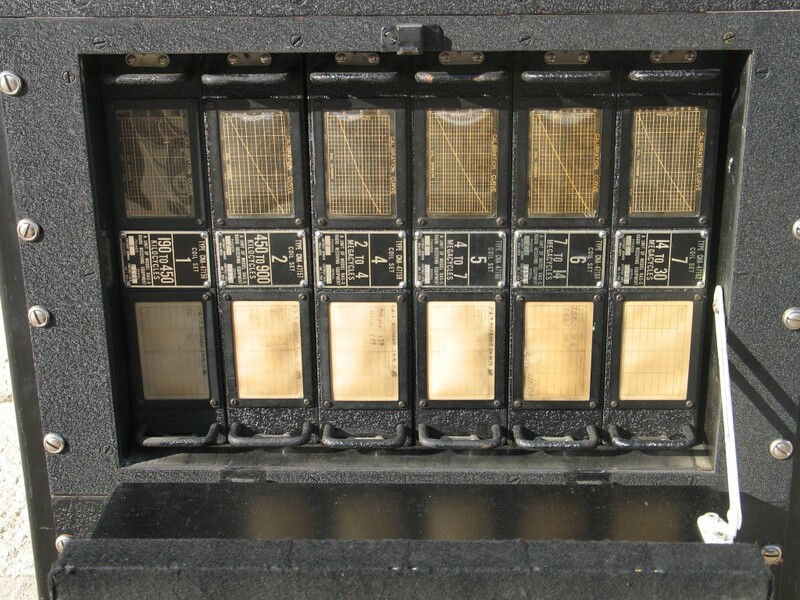 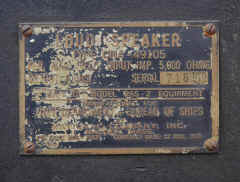 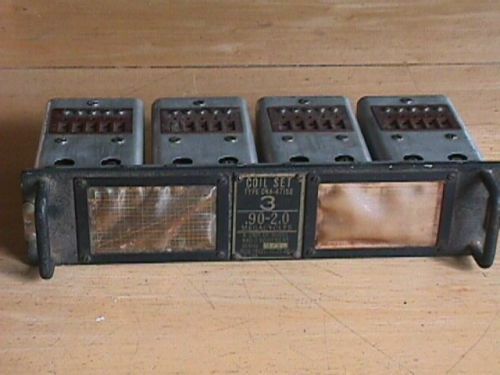 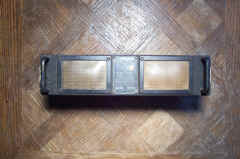 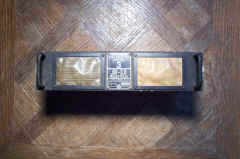 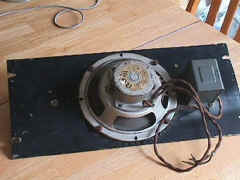 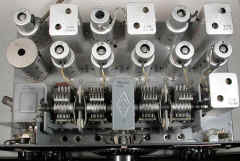 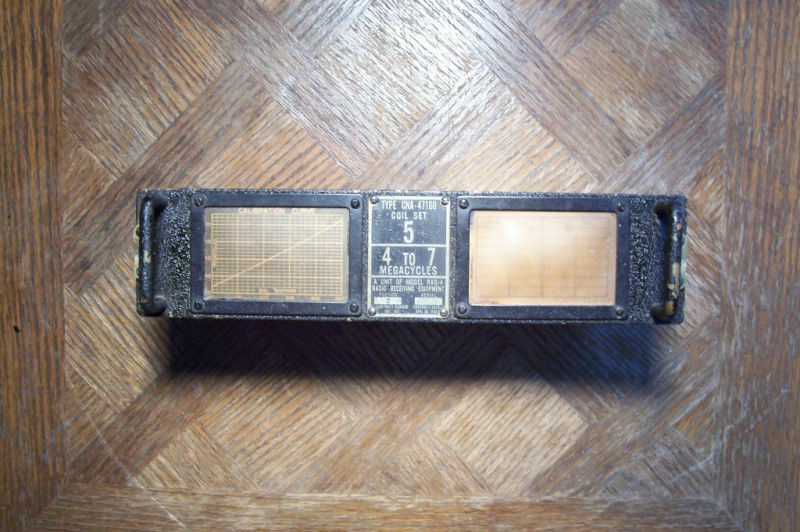 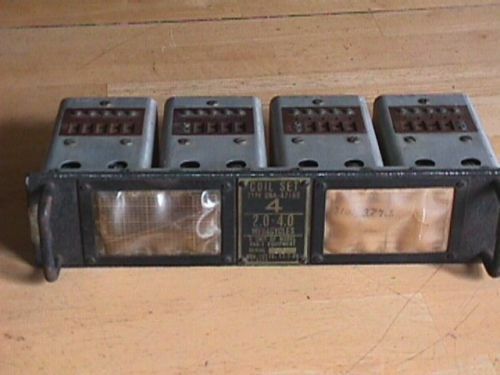 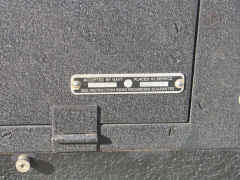 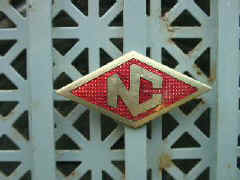 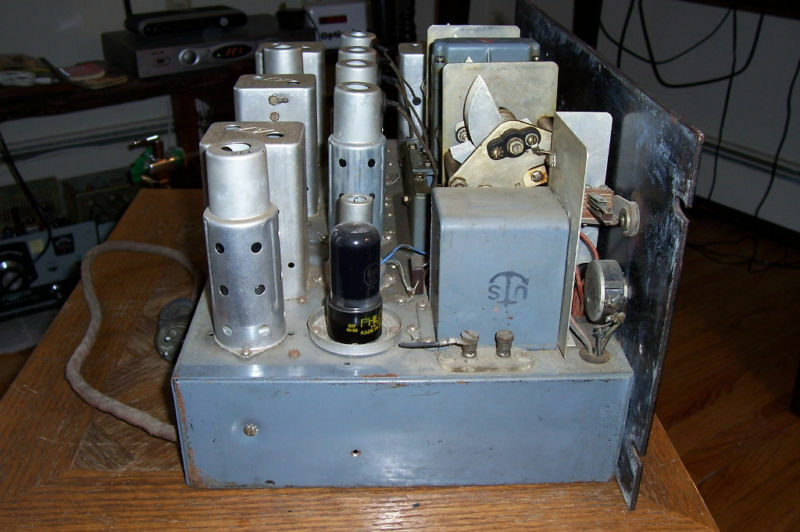 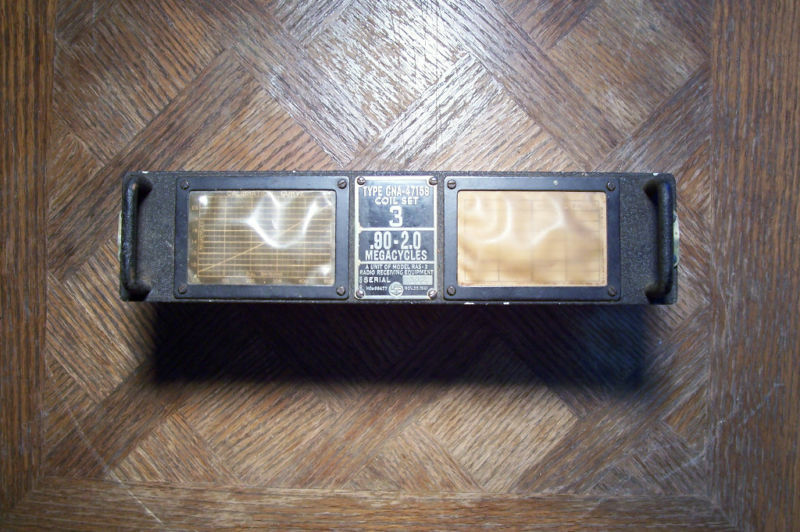 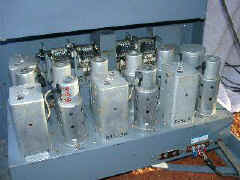 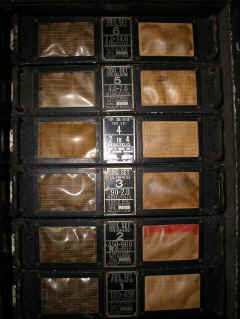 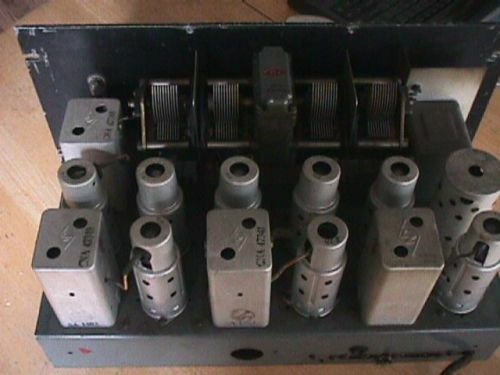 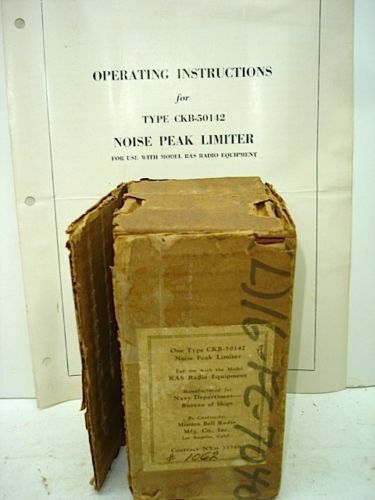 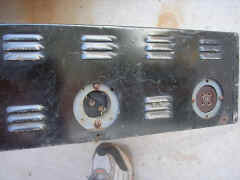 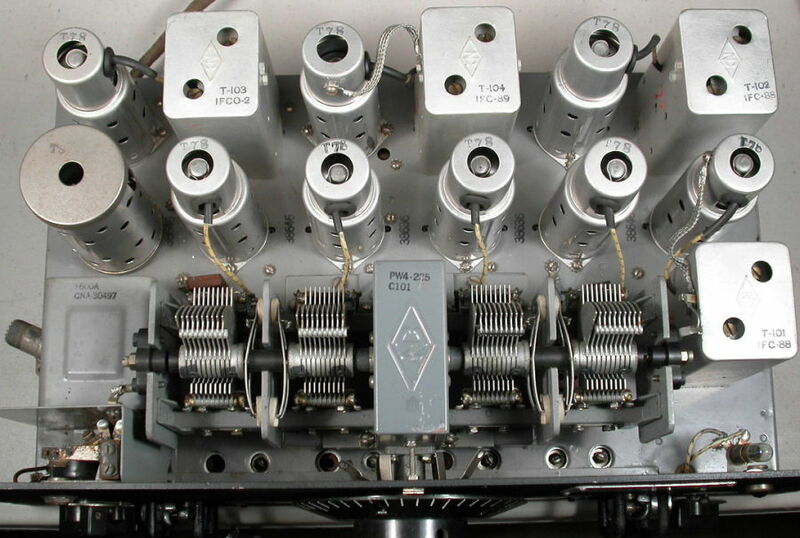 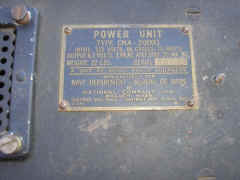 On this noise peak limiter we also developed, as I recall, three different types. 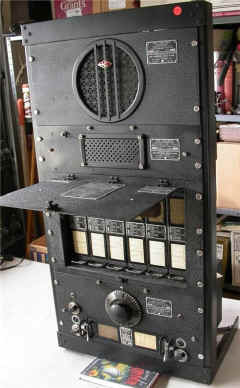 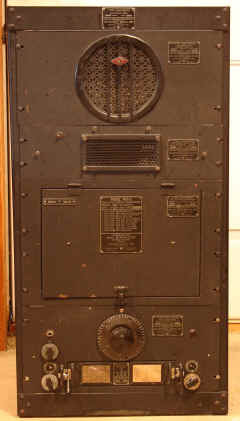 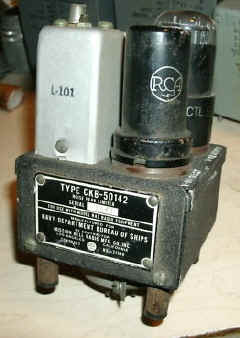 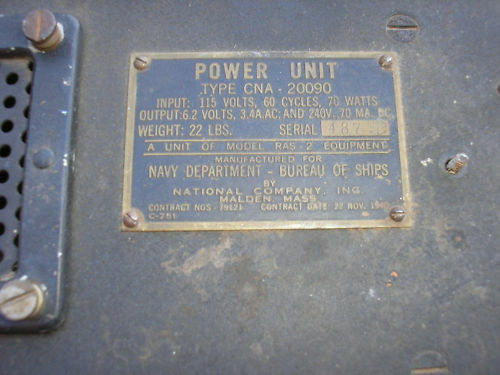 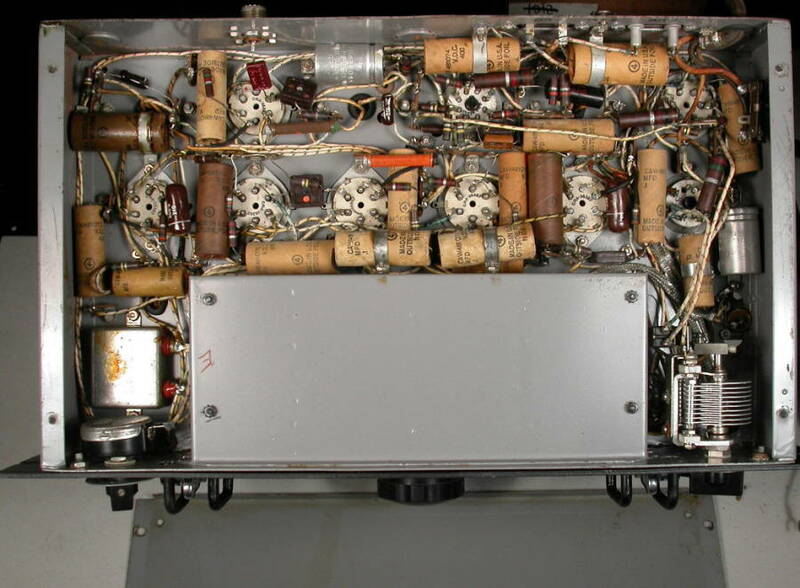 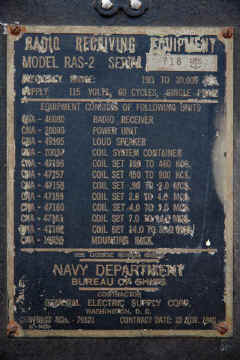 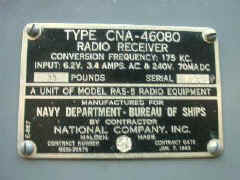 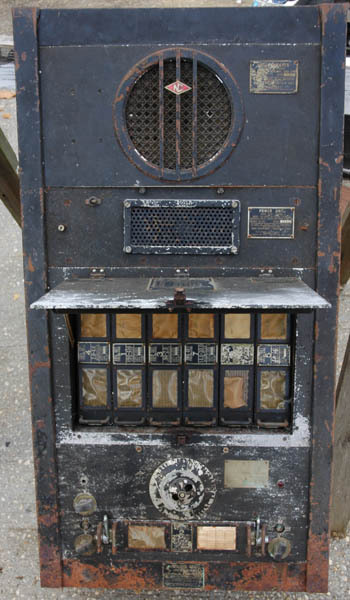 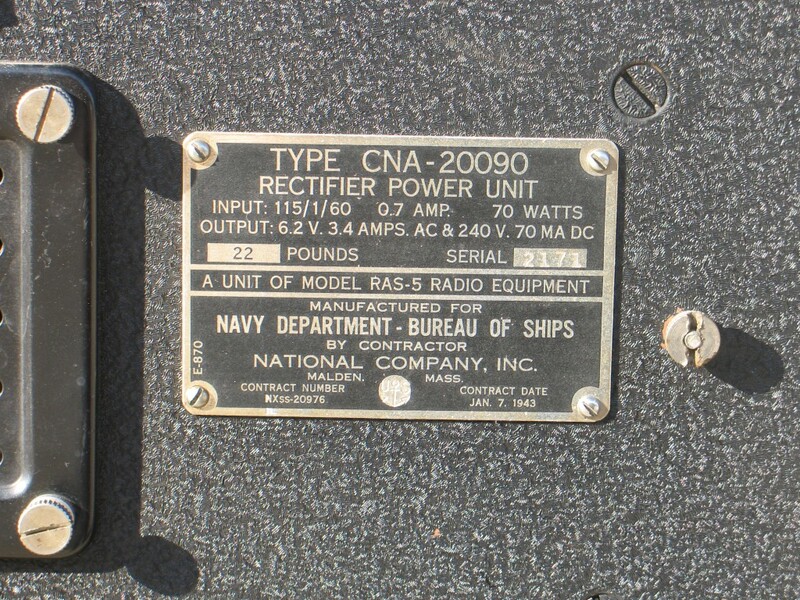 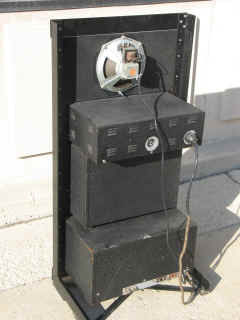 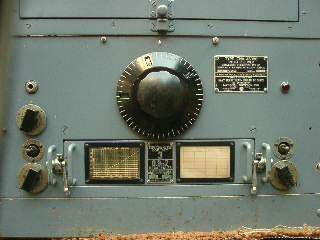 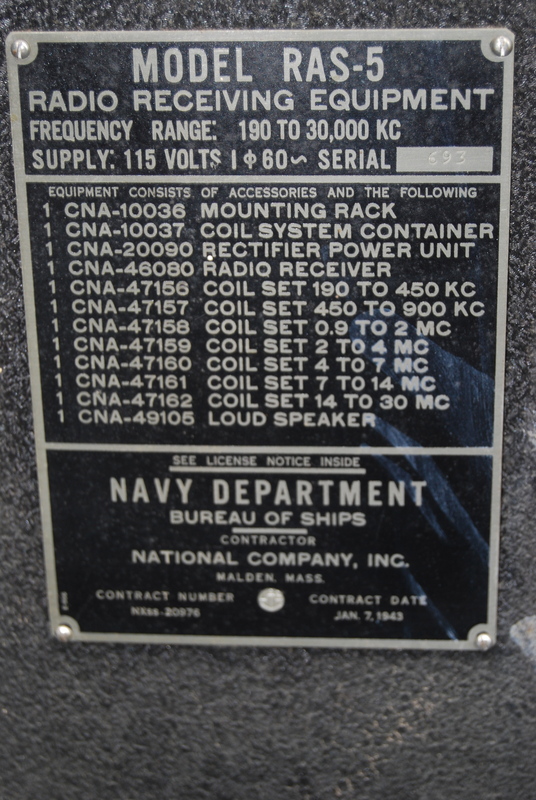 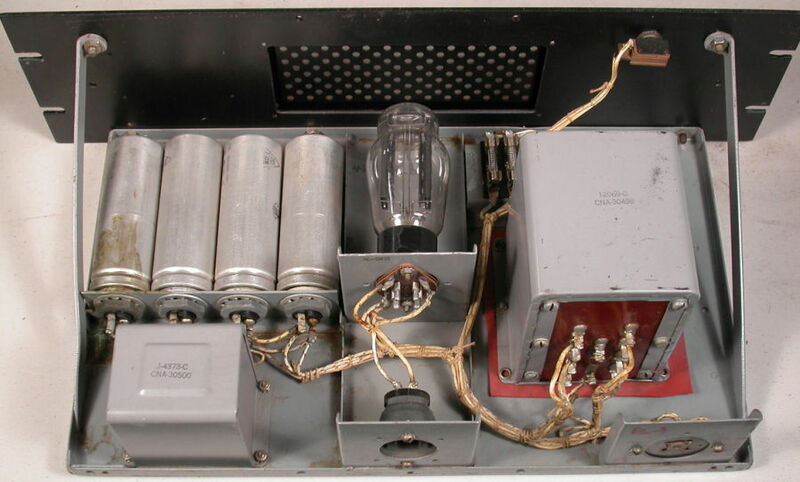 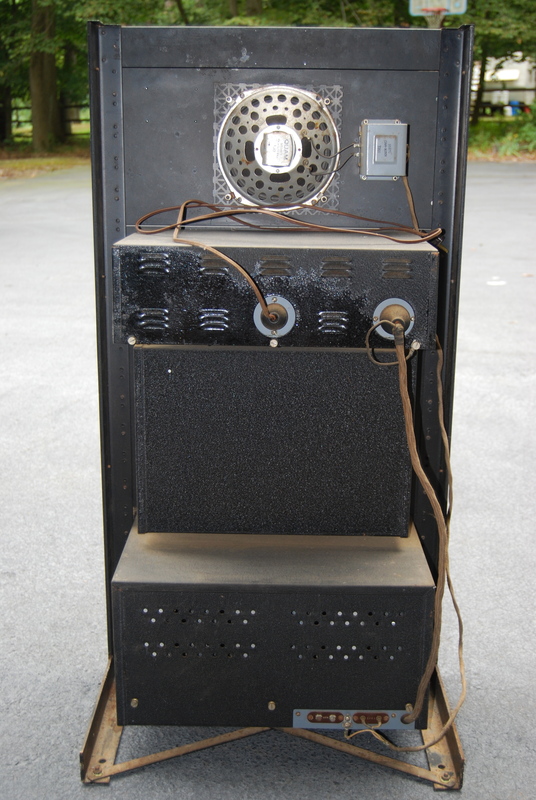 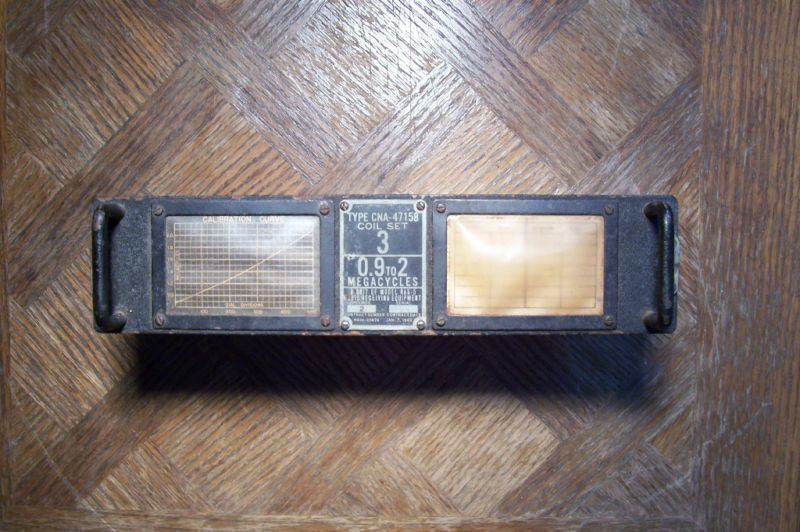 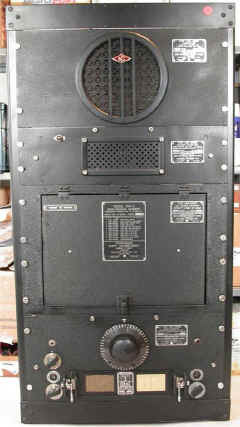 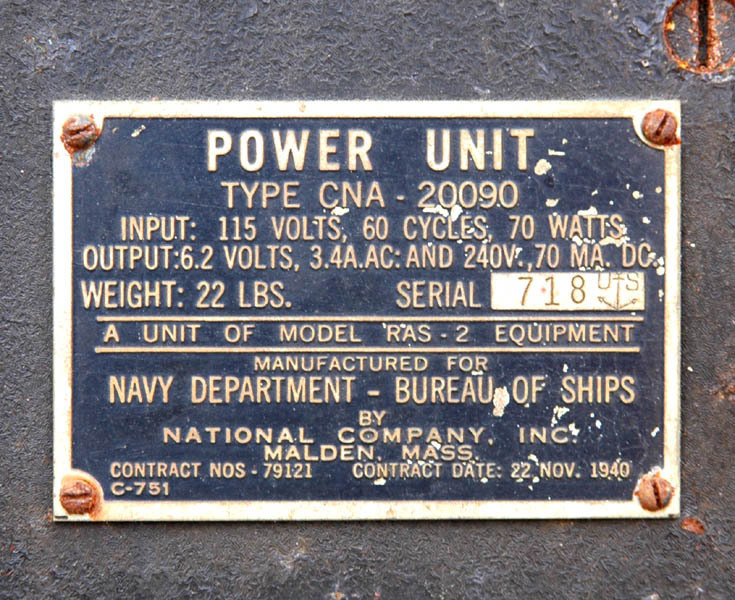 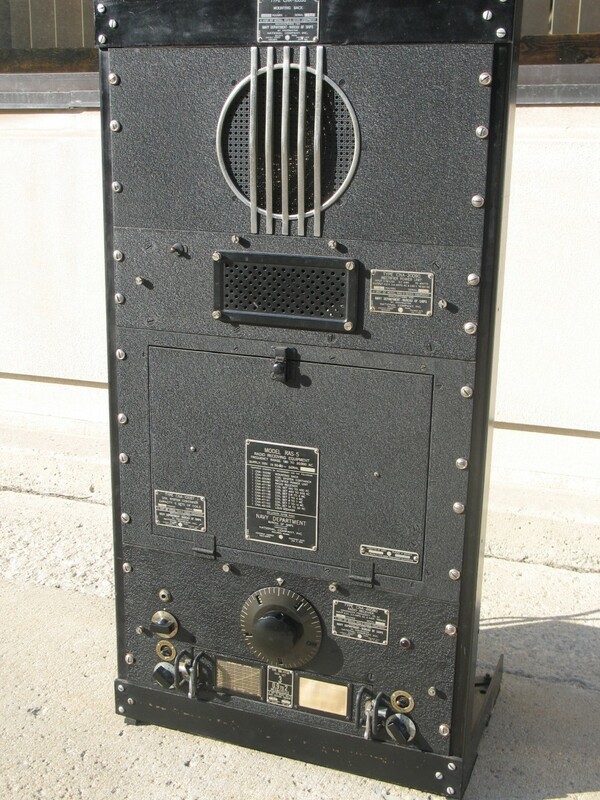 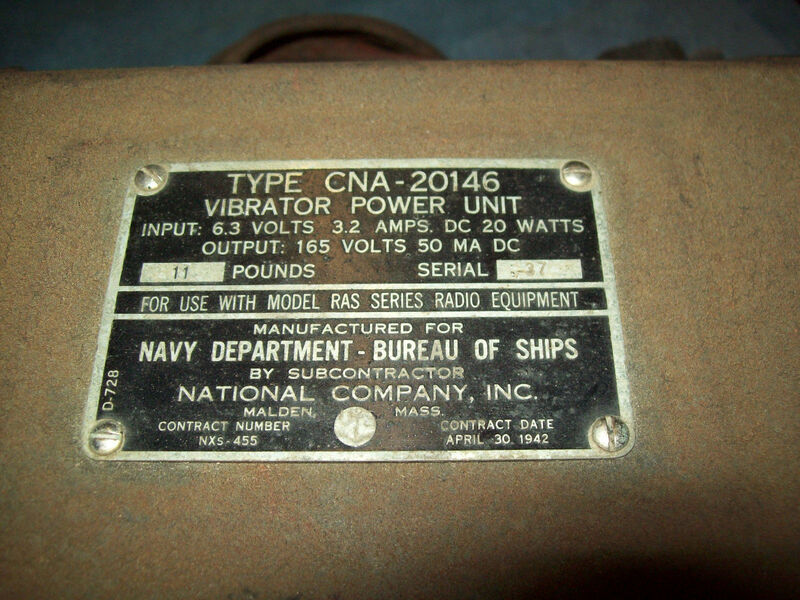 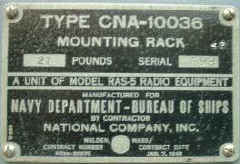 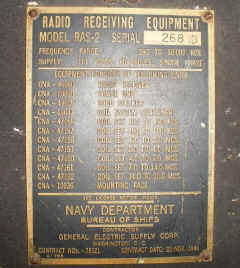 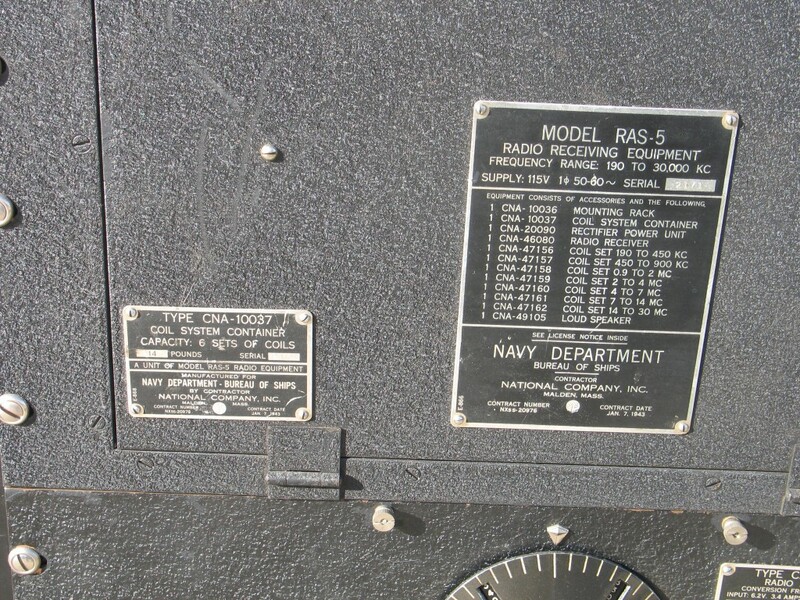 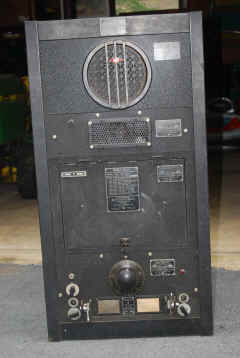 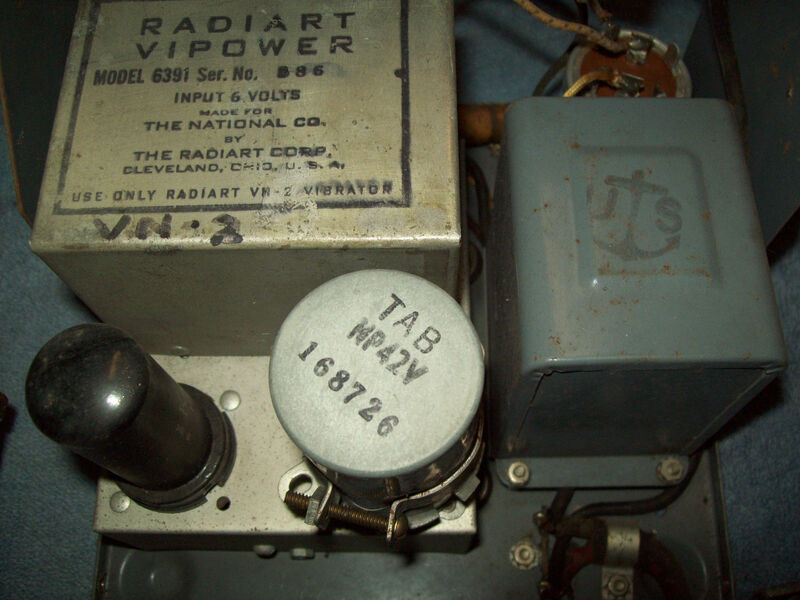 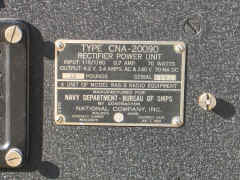 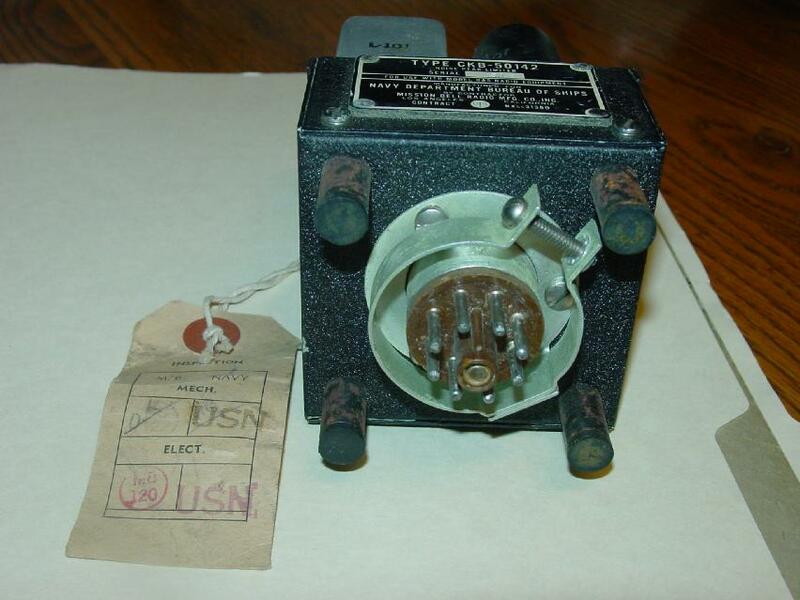 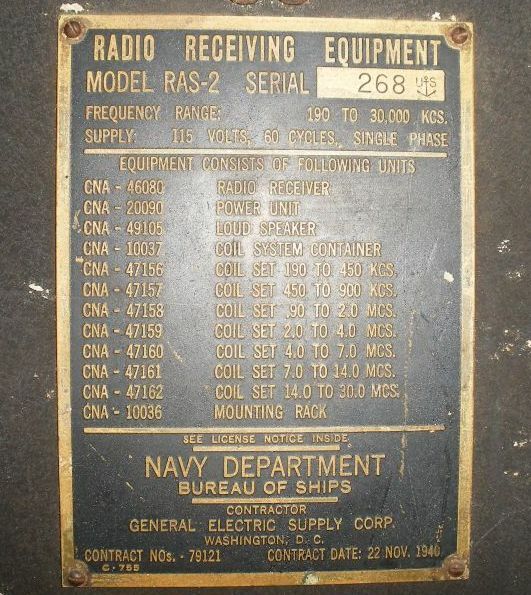 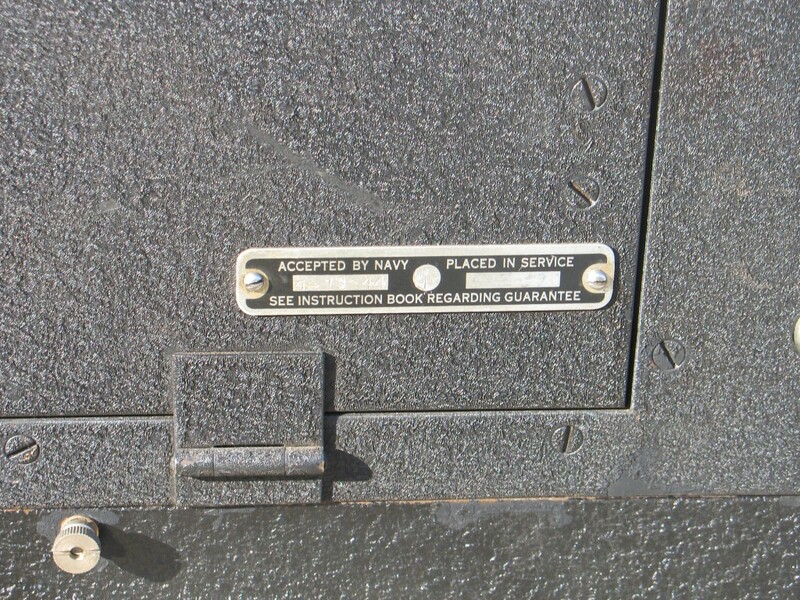 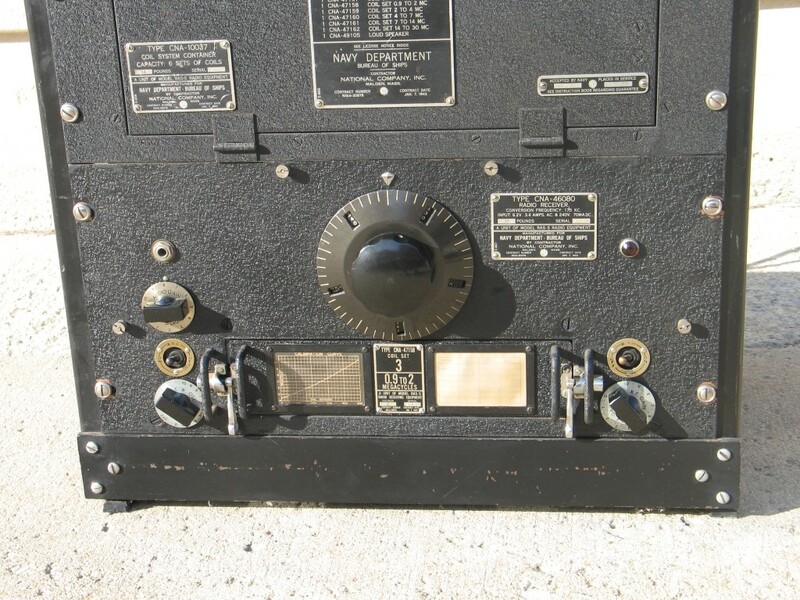 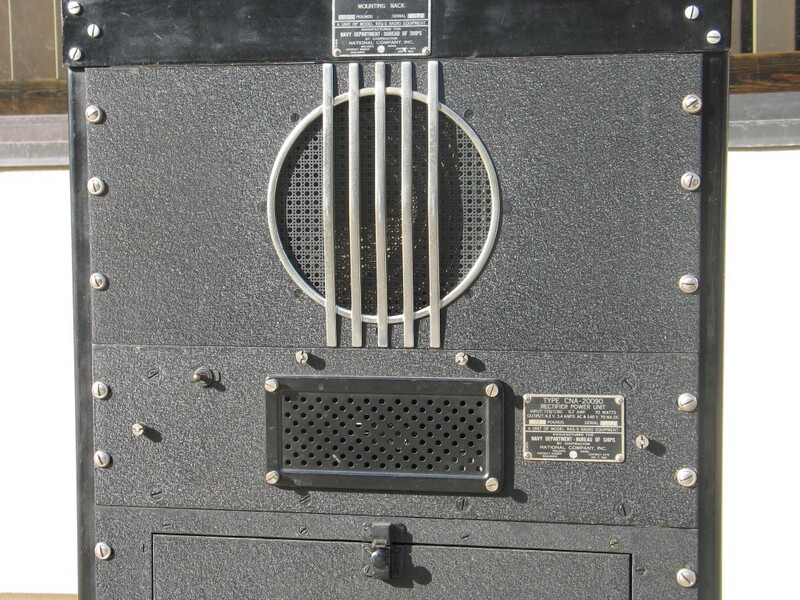 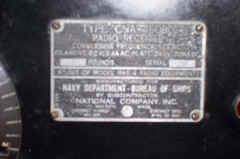 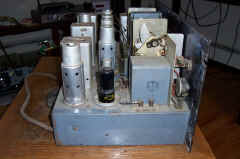 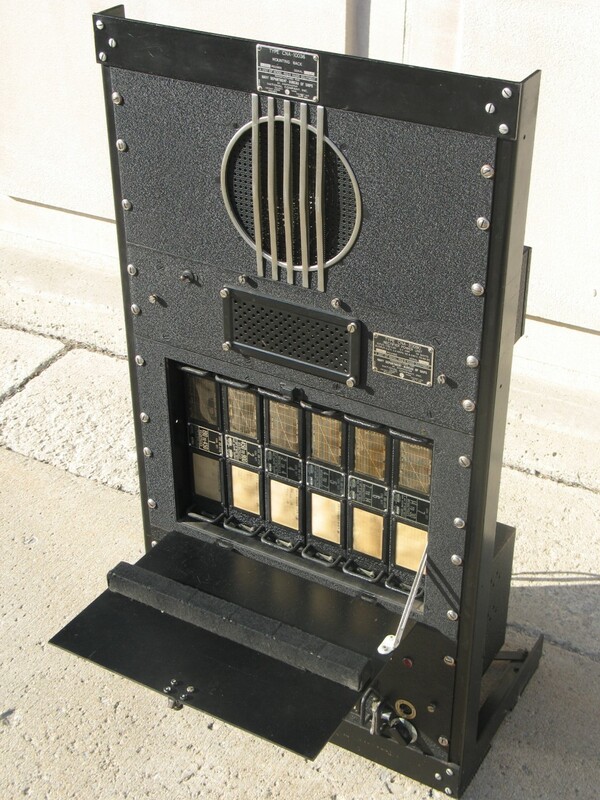 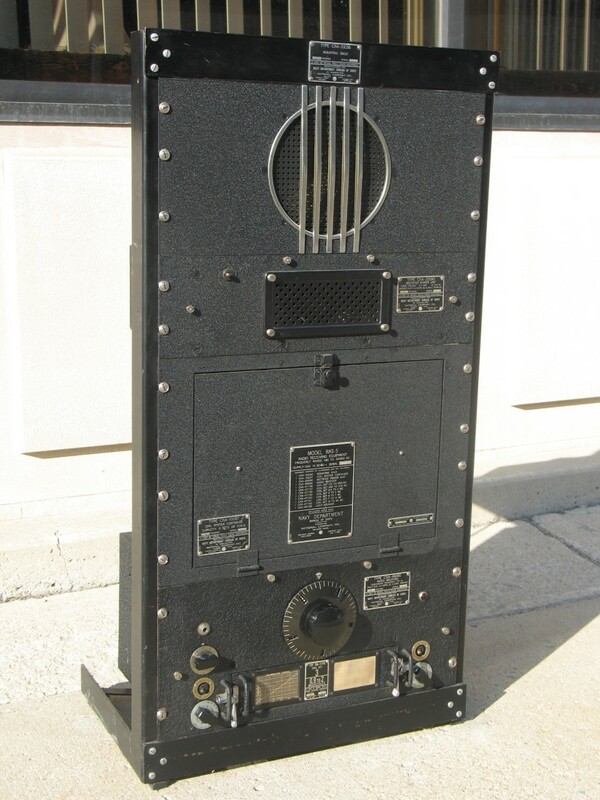 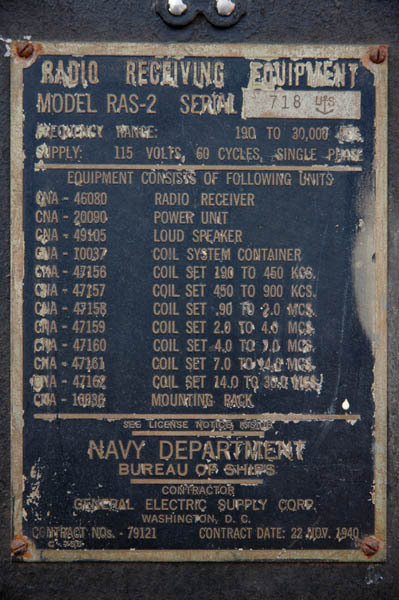 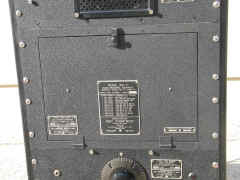 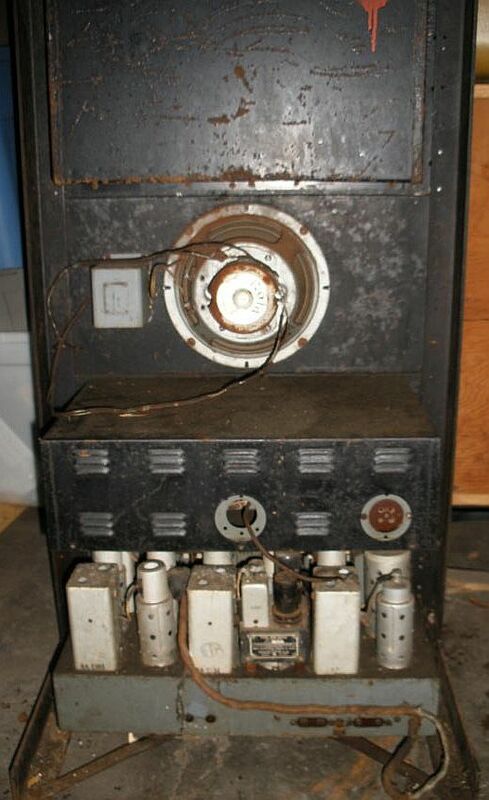 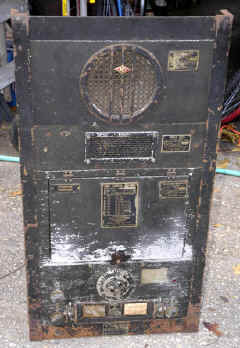 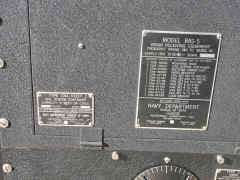 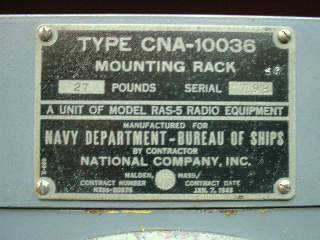 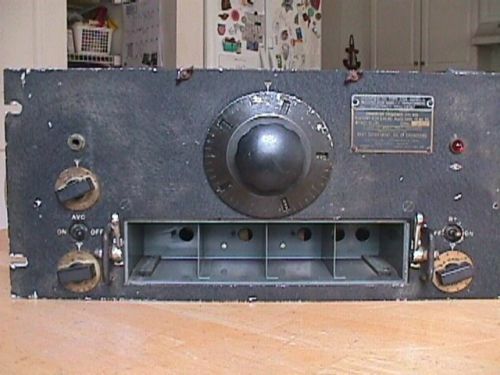 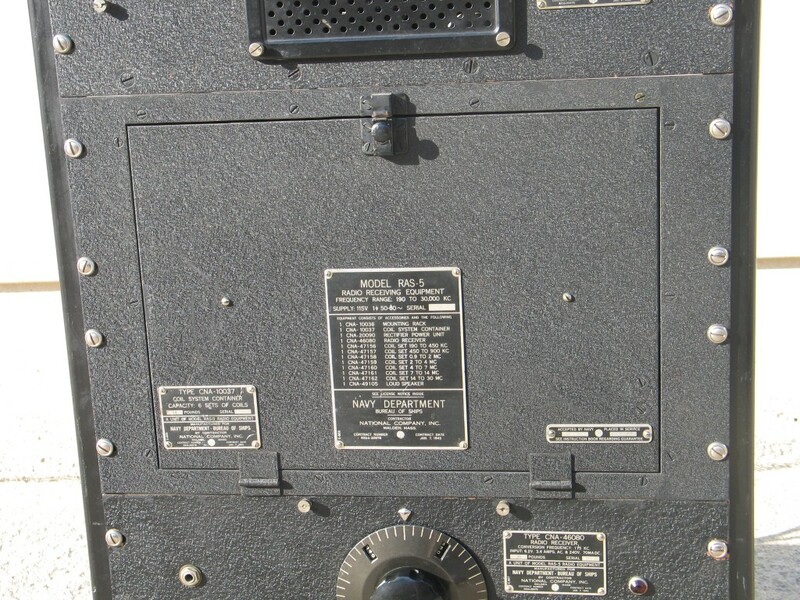 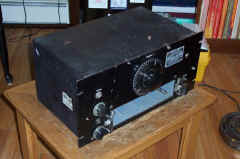 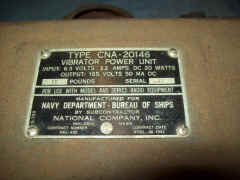 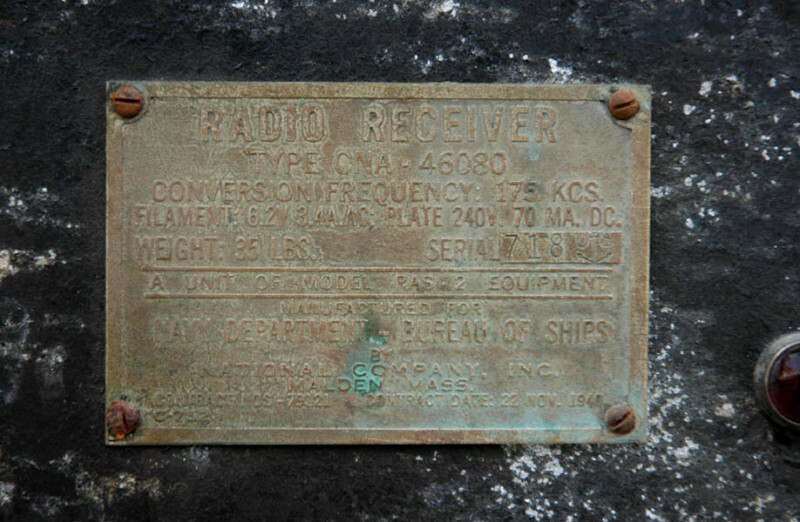 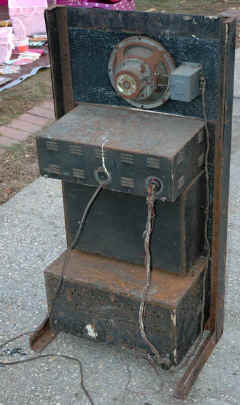 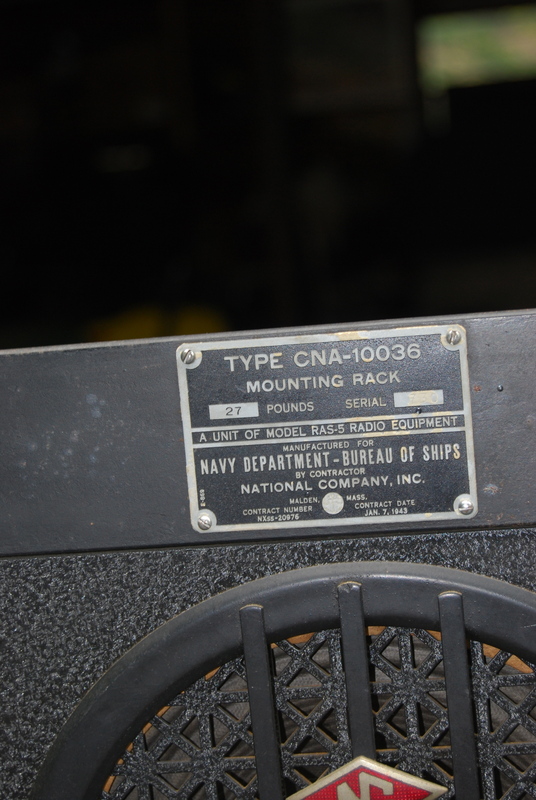 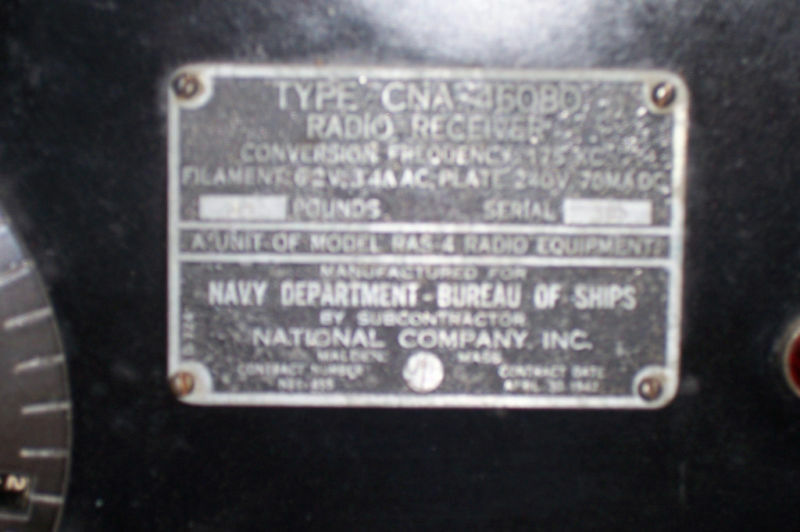 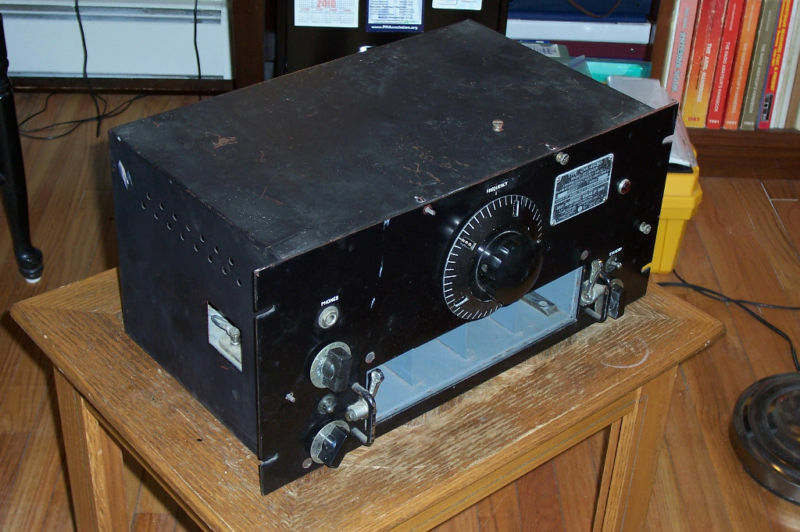 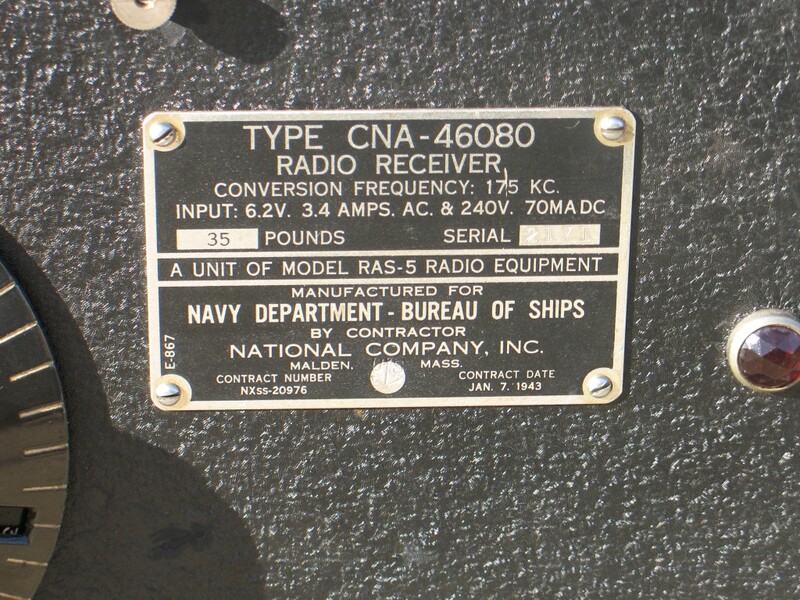 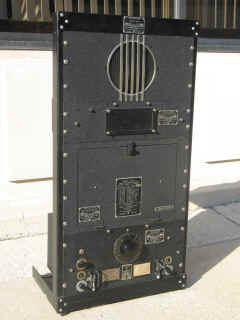 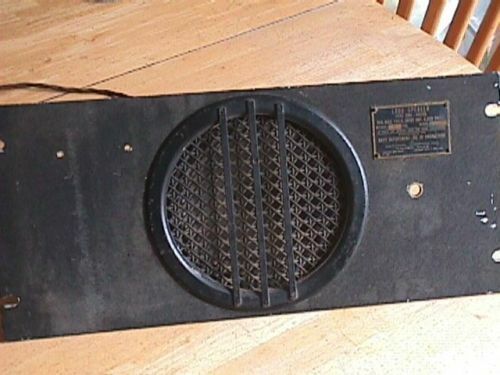 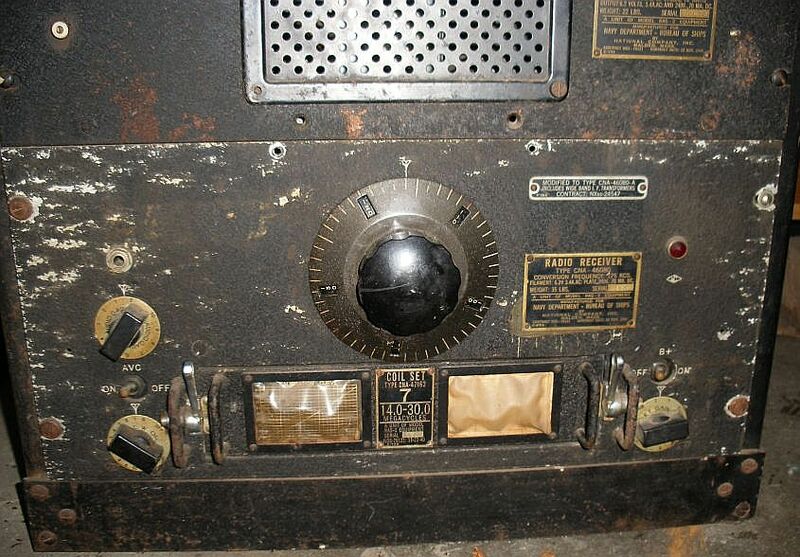 One was made as an accessory for the Navy—I believe it was the RAS receiver. 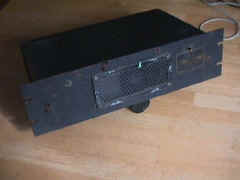 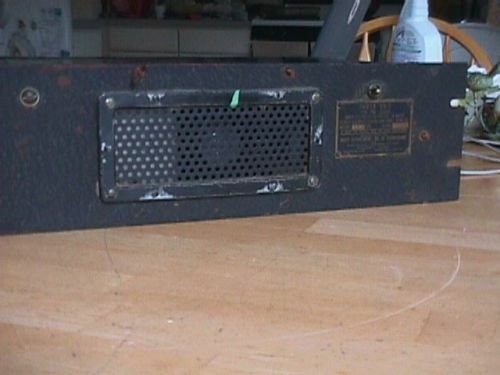 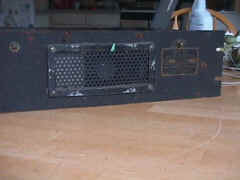 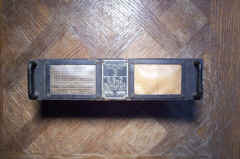 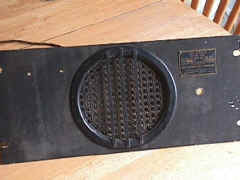 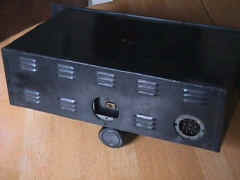 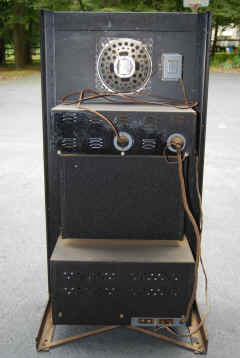 Another one was made for the SX-28 receiver. Still another one was made for the ARB. 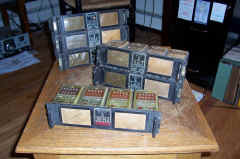 The purpose of all of them was the same, just a matter of adapting them to receivers. 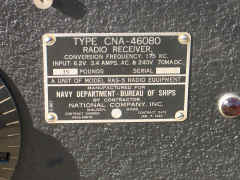 Now, that was an accessory that could be sent out into the field where they had noise and they had a certain type of receiver. 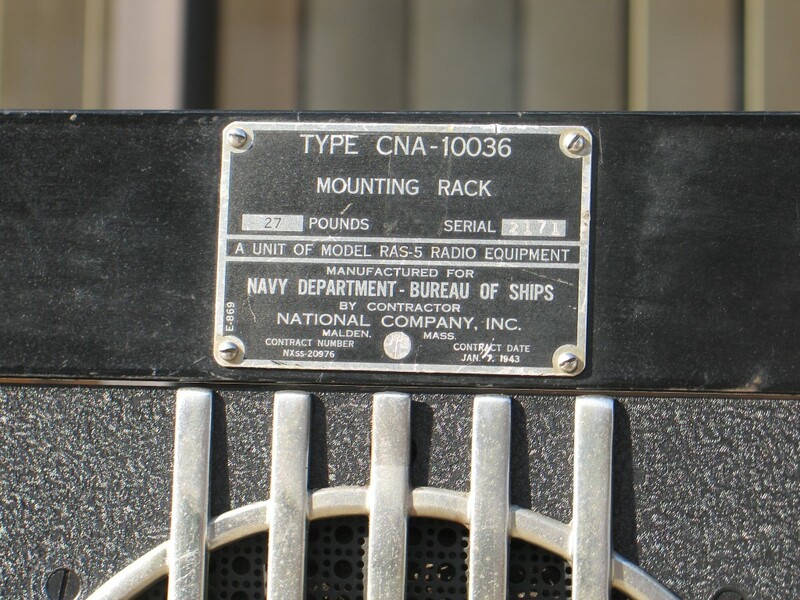 This adapter could be plugged into the receiver, and it was very effective in reducing noise, which means that communication was made possible in some cases where it would not have been otherwise."